Visiting three amazing places in one tour guarantees excellent value for money. Swim in crystal clear water. 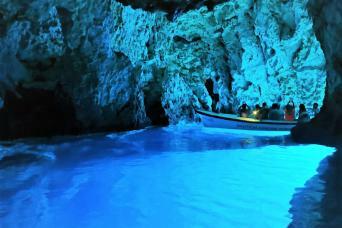 Discover Blue Lagoon, the most beautiful and the most famous lagoon in Croatia. 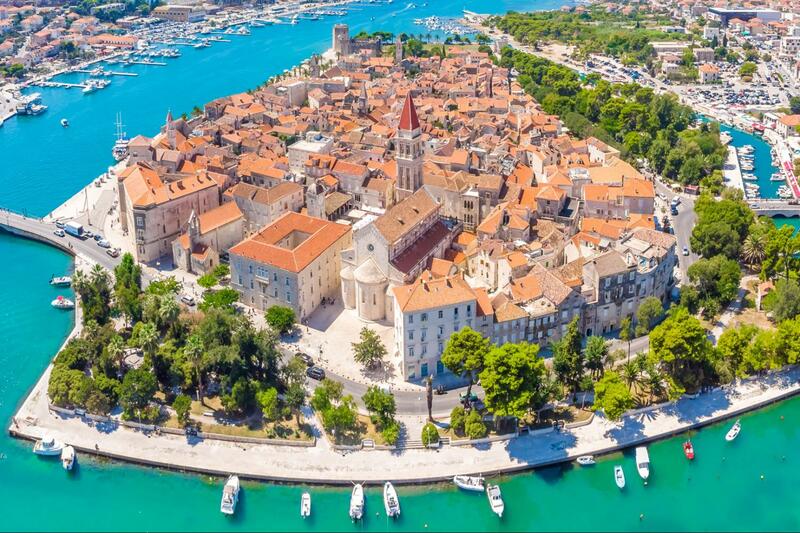 Get lost in the small alleyways of the ancient city of Trogir. 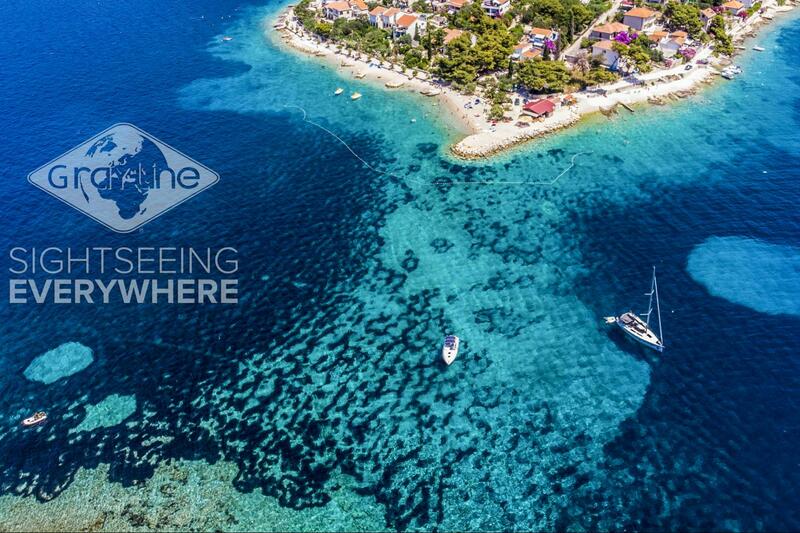 Go snorkeling and discover rich underwater life in Croatia’s Blue Lagoon. Enjoy some refreshments one of the best beach bars on the southern coast. Transportation on a fast, comfortable speedboat. Swimsuits, towels, and sportswear recommended. Subject to favourable weather conditions. Pets are not allowed on the tour. Safety first! In case of bad weather or rough sea conditions, we hold the right to change the route or cancel the tour (for benefit of all passengers). This decision is made by the captain. In this case, you have the right to reschedule the tour or to receive a full refund. 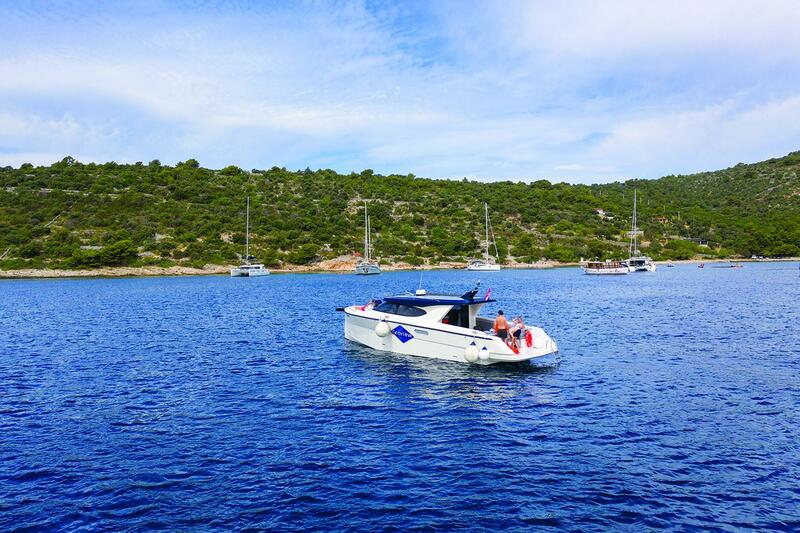 If you wish to avoid summer crowds and have relaxing and refreshing few hours out on a beautiful coast, escape from the fast pace of everyday life and join us on a tour to the Blue Lagoon. 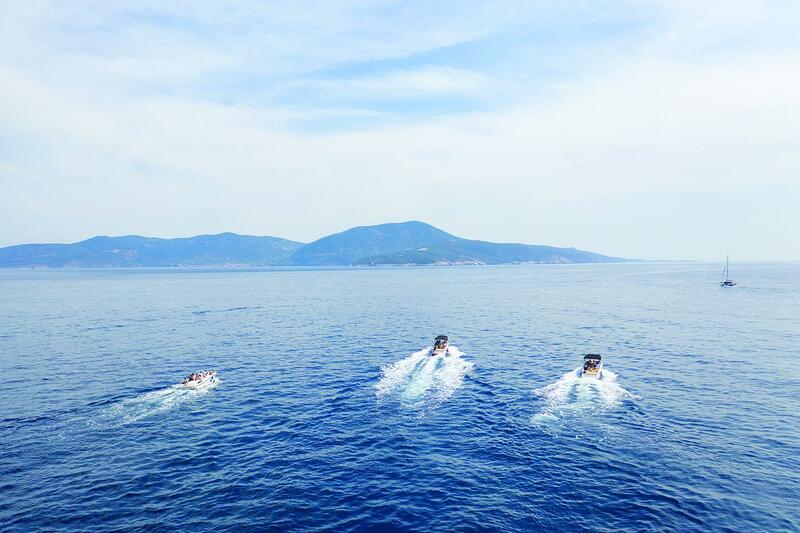 During the boat ride, you can enjoy the panoramic view of Split and nearby islands. On your first stop take your time to explore a very unique site, the old city of Trogir. It was built on a small island and forms part of the UNESCO World Heritage list as one of the few towns in the world that are completely protected by UNESCO. Get lost in its narrow cobbled streets and feel the spirit of history. 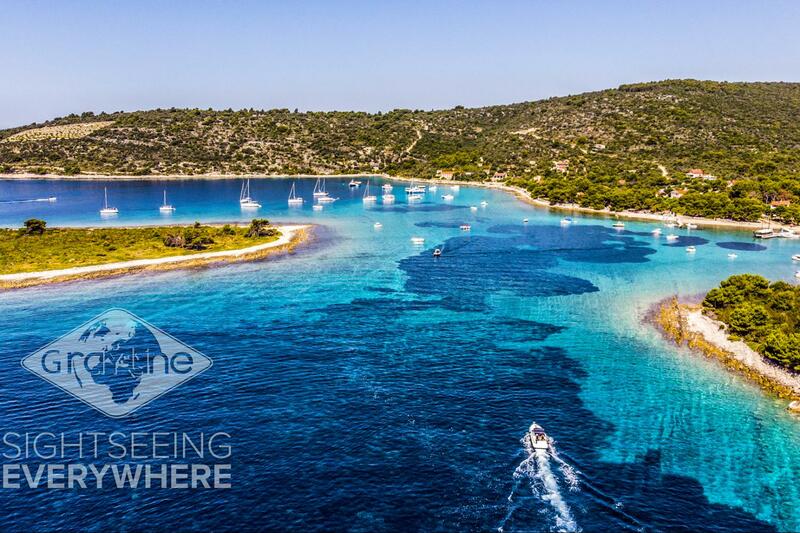 After a 30 min ride on a speedboat, you'll arrive at stunning Blue Lagoon, a crystal clear sea between three islets. Blue Lagoon owes its name to a seafloor made out of crushed sea shells mixed with sand, which produces mesmerizing blue and turquoise color under the sunlight. Spend your time there swimming or snorkeling on small, hidden, untouched beaches and taking amazing pictures. 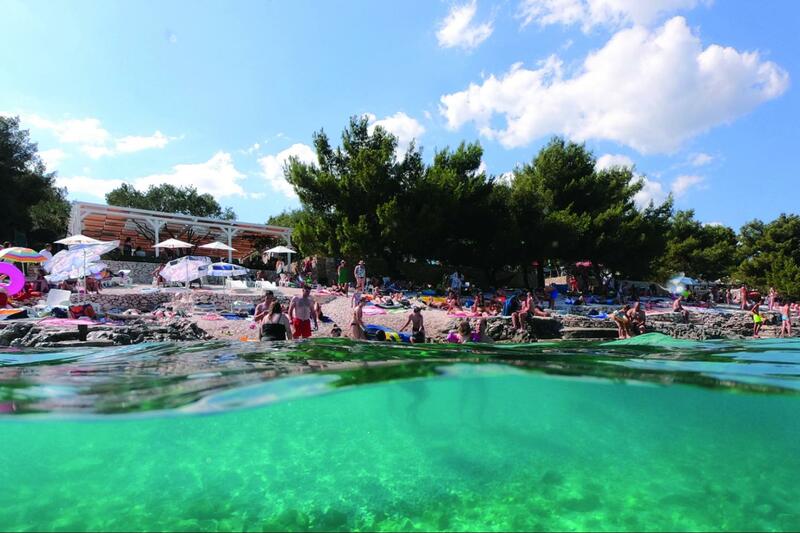 Our next stop is Labadusa Beach Bar on a beautiful small island of Čiovo. 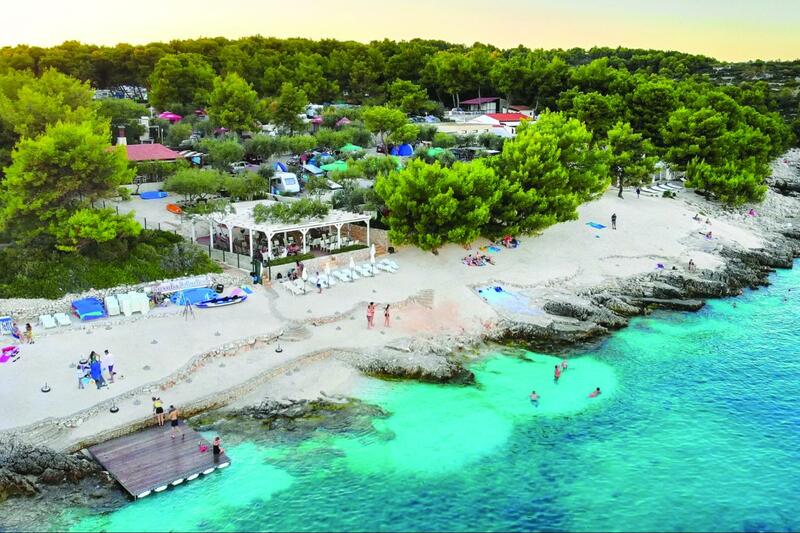 Labadusa Beach Bar is an amazing place surrounded by pines and beautiful nature just a couple of meters from the beach. It is a center for all beach lovers who love great food, refreshing drinks and cocktails. Spend your free time for swimming, relaxing and lunch there. 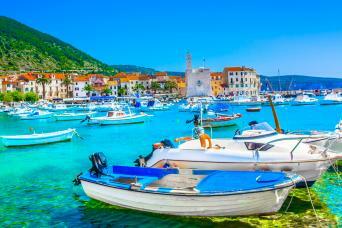 At the end, while cruising back to Split, take in the breathtaking views of the Central Dalmatian coast and islands. MEETING POINT in SPLIT at 08:30AM or 2:30PM!